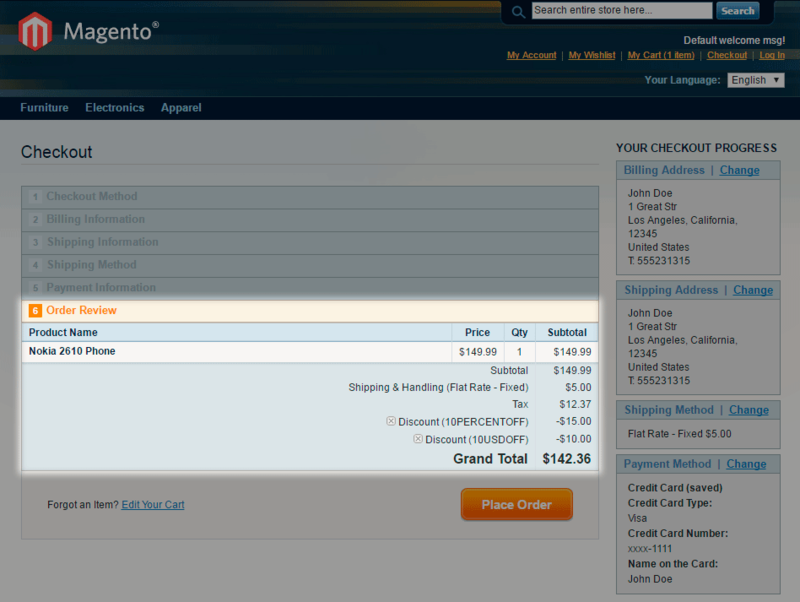 Magento does not allow applying more than one coupon per order. It's a serious problem for those merchants who know how important it is for marketing. The study by Lemonstad has shown that nearly 50% of buyers are shopping online only on sales. Buyers want to get the best price. To get the best price a buyer can combine his coupons to get the biggest benefit. When you sent individual coupons to customers, you create a sense of a personalization, which is a key to the success in e-commerce. Multiple Coupons Magento extension allows customers to use multiple coupon codes in shopping cart or checkout (compatible with Checkout Coupon Code and Aheadworks One Step Checkout Magento extensions). 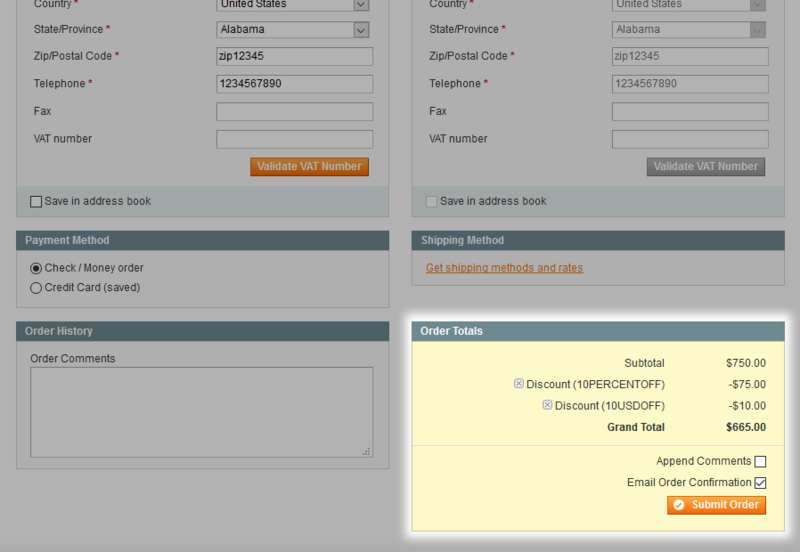 You can also use multiple coupons on multi-address checkout and when create order from the backend. 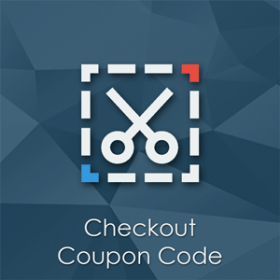 We developed the extension in a way to utilize native block with the discount form - this fact significantly reduces the possibility of conflicts with third-party extensions. The architecture of this extension is very flexible. It can easily be integrated with 3rd-party checkout extensions. Please drop us a line for a solution. We send a lot of marketing emails with coupon offers. 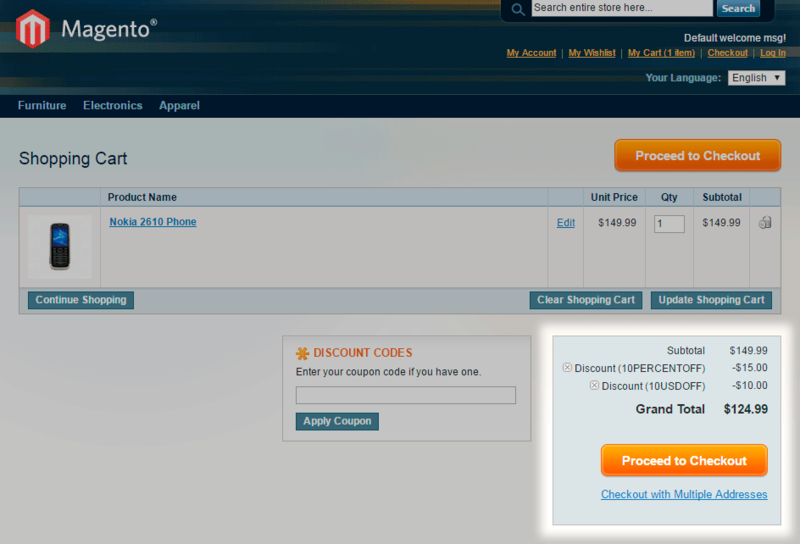 So we decided to use this Multiple Coupons module so our customers could apply their discounts more efficiently. I can admit that these guys are awesome, fast installation, everything is working like a charm. My applauses to you guys! Easy to setup and works very intuitively. Highly recommended. 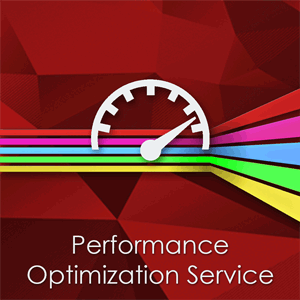 I used this developer extensively for modifications on my website and was very satisfied with their work as well as communications and speed. I would highly recommend them! 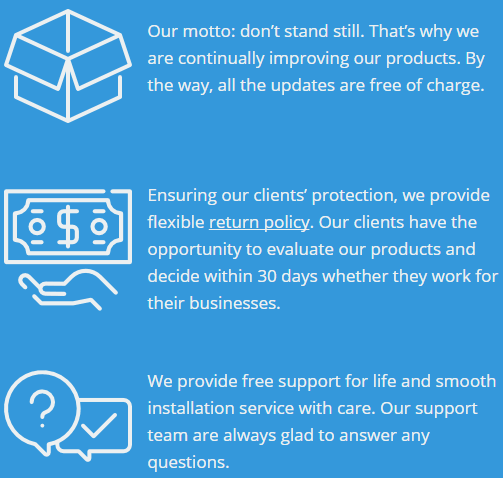 Great add on and great support to back it! Thank you! Works great, really useful and they provided excellent support. 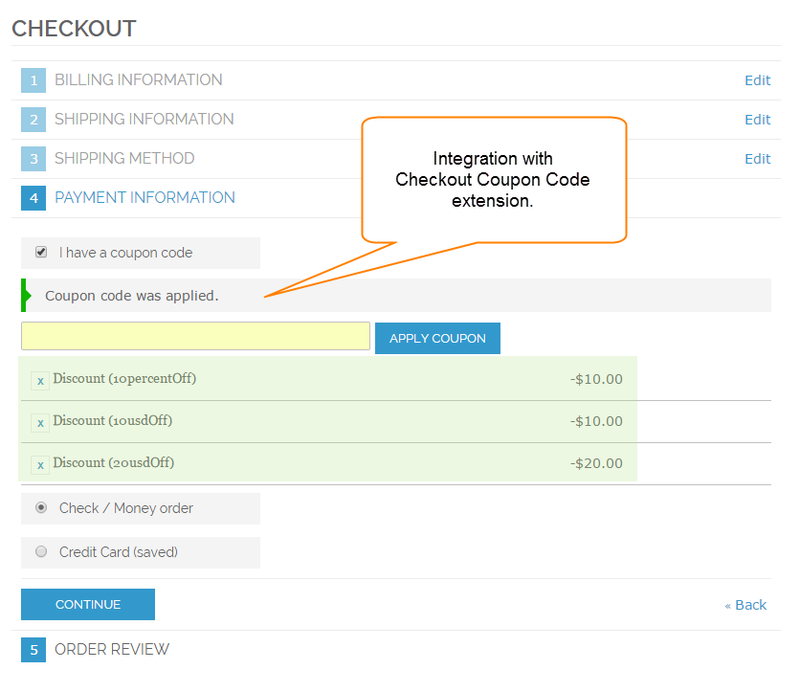 Is it compatible with my checkout extension? 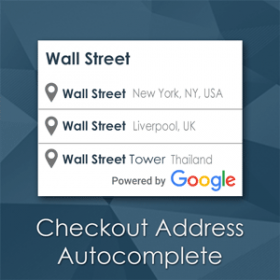 I want to integrate your extension into my One Step Checkout extension. We haven't tested our extension with dozens of checkout extensions. 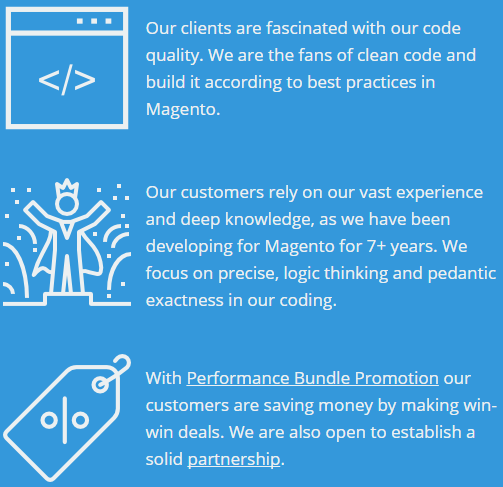 But we can make an integration, please contact our support for the quote. 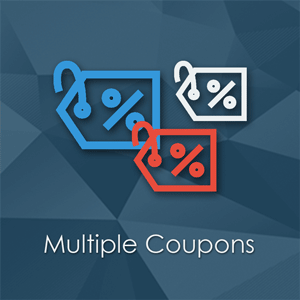 Yes, Multiple Coupons extension is compatible with this patch.